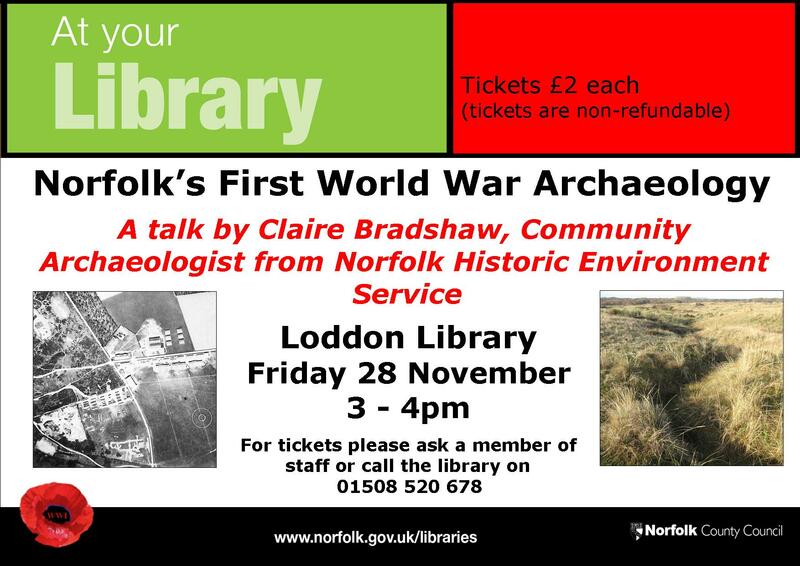 This talk by Claire Bradshaw, the Community Archaeologist from Norfolk Historic Environment Service is being held in libraries across Norfolk. 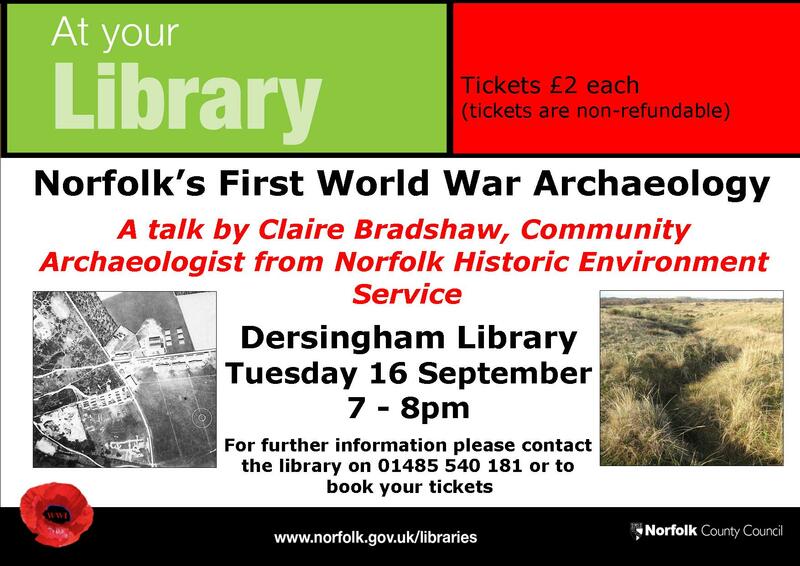 Find out about the archaeology of the First World War: those features which can still be seen in the local area and how to find them; as well as a look at those traces which have been swept away by the passage of time. The talk will be illustrated with photographs from the Royal Flying Corps and Muckleburgh Collections. Tickets are £2 per person and must be booked in advance. Contact the relevant library.